New Sea Doo Wake 155's and 215 Wake Pro Rentals being introduced to our inventory in 2014. These models are perfect for the those who loved to get pulled behind a PWC for wakeboarding, wake skatings and for single rider pull tubes or toys. These Machines are onsite at Utah Lake or can be rented and pulled to an offsite locations. Offsite rentals. I am disabled and I would like to find a great place to rent a disabled person water ski. Is there someone in the Frisco, CO area that is renting out water ski equipment for disabled persons? Please help me locate this apparatus. Nice post about boat rentals with all details images and video are amazing. so So Book Now and get great discounts on tours and attractions throughout Punta Cana. I love Utah Lake. It is fairly safe compared to other lakes. The only downside is that it is not the cleanest lake. However, I would take safety over uncleanliness any day. This would be a great option for my family reunion. We don't have much equipment and we definitely don't have a boat! I am thinking about renting some jet skis along with a boat. Do you have to have a license to drive a boat? My brother wanted to make a special trip to the lake one last time before winter comes. He wants to rent a boat but he has never done so before. We are hoping he can get his hands on one in time for his end of summer bash. Wow what an experience to accompanied with it. The best thing about Manhattan island boat tour is that they are growing in demand most important they are offering some top range of tour packages affordable enough for normal tourists. 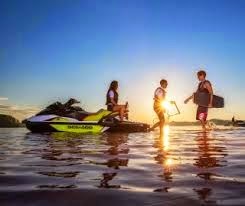 The NYC Jet Ski Tours has good reputation at the back and they are successful in fulfilling the need of every tourist coming to this part of the world.